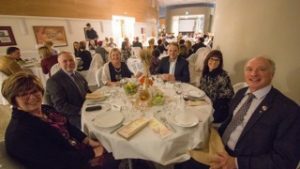 On November 19, 2017, guests gathered at St. Gianna Beretta Molla Church for the Sowing Seeds Award Banquet to honour and celebrate the work of Villa Rosa, this year’s award recipient. The award was accompanied by a cheque in the amount of $5000. The Sowing Seeds Award is made possible through the Grain of Wheat Legacy Fund, established by Living Waters Columbarium in April 2017, in memory of the beloved deceased entombed and memorialized within and beyond the columbarium. The Sowing Seeds Award recognizes a group or organization for its commitment to transform the world by choosing unconditional love and sacrifice. Each year, families of the deceased enrolled in the Grain of Wheat Legacy Fund are invited to consider the particular passions and efforts of their deceased loved ones, and to nominate an organization or group that endeavours to transform the world through work that reflects those very passions. In this way, the deceased continue to be present, in mystery, through the transformative work they so passionately embraced during their earthly pilgrimage. 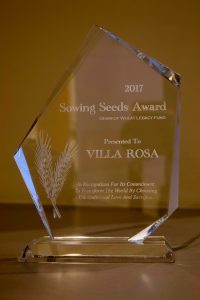 The work of Villa Rosa resonates with the lifelong efforts of several deceased individuals enrolled in the Grain of Wheat Legacy Fund. These individuals nurtured and supported the gift of life made present through pregnant mothers and their babies, and experienced first-hand God’s great love through the gift of newborn babies. 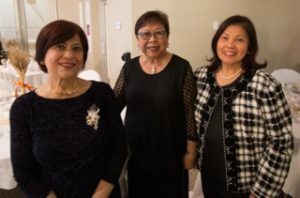 Founded in 1898 by the Misericordia Sisters, Villa Rosa is a prenatal and postnatal residence in Winnipeg, where young women can find shelter in their pregnancies. Villa Rosa serves some of the most vulnerable women in Manitoba, most of whom are single pregnant teenagers. By offering a safe place to live, nutritious meals, individual counselling, life skills, education, parenting programs and most importantly, unconditional love, Villa Rosa staff and volunteers journey with single mothers and their babies to provide a truly transformative experience: a life-giving alternative to abortion, the gift of hope and a strong foundation for future growth and development. 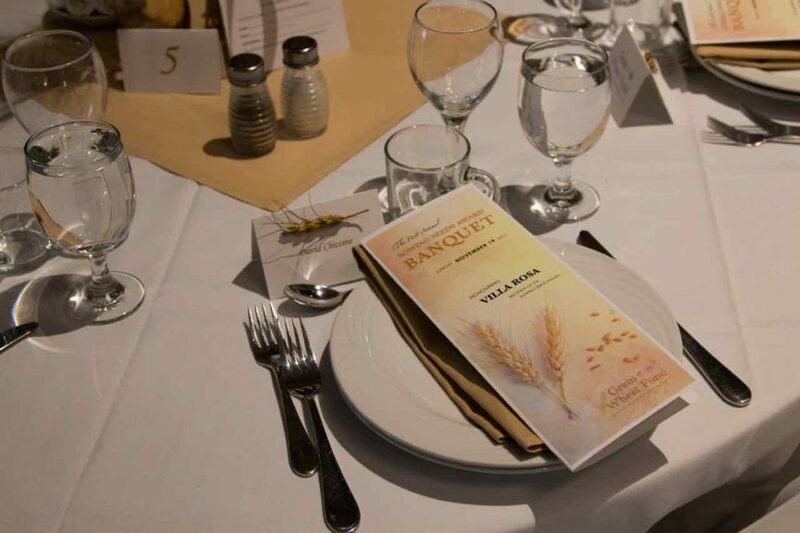 Living Waters Columbarium and the Grain of Wheat Legacy express gratitude to the donors, sponsors and participants who made this inaugural award banquet a meaningful and extraordinary celebration.